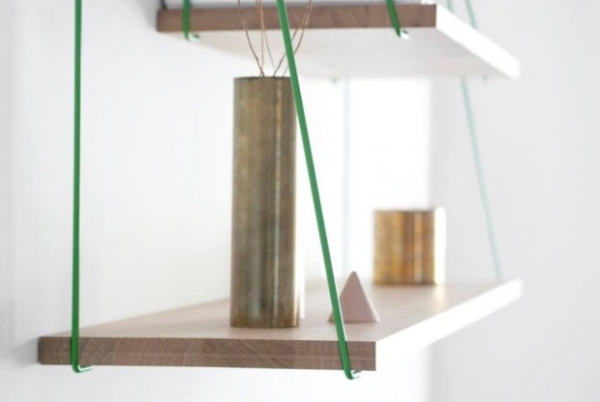 These awesome bridge shelves, made by outofstock in Stockholm, provide extraordinary engineering, while minimalist in appearance, and design that you would see in suspension bridges. The set comes with three oak shelves that can be suspended on clips made out of metal pipes that are then attached to a baton. 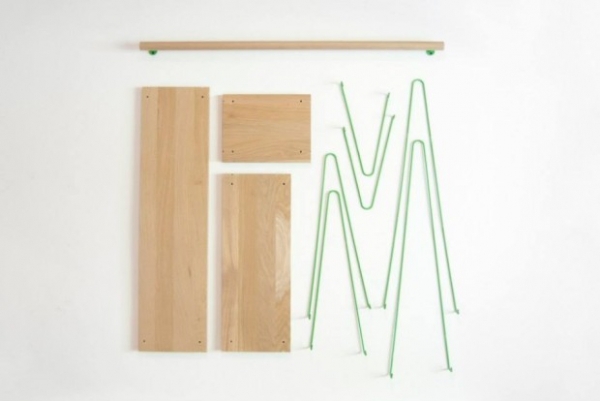 We love especially the neon green coloring of the metal; its contrast is so fun against the oak. 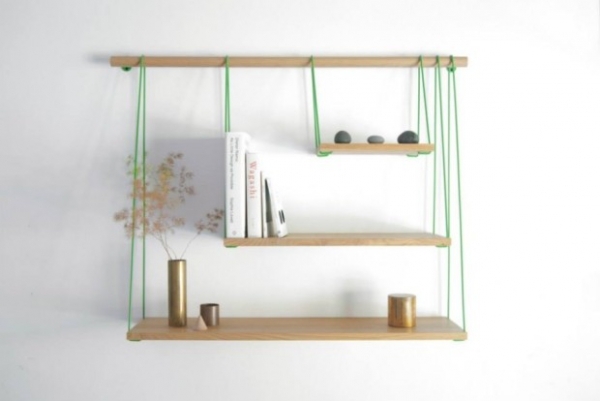 These bridge shelves are extremely versatile in nature. You not only are given the opportunity to assemble them as you please (you don’t have to do smallest to largest) but they can be used in any room in your home. If you have kitchen wares and spices needing organization, toiletries in the bathroom that need somewhere to go, or personal knick-knacks and goodies around your living room or bedroom that need to be displayed—these are perfect for all of those things. 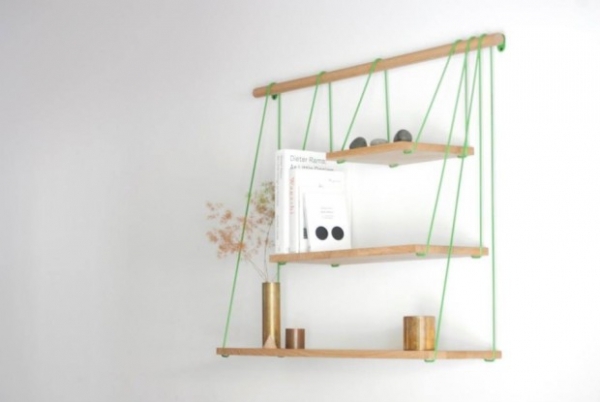 The bridge shelves also can look good in a variety of interior design settings. 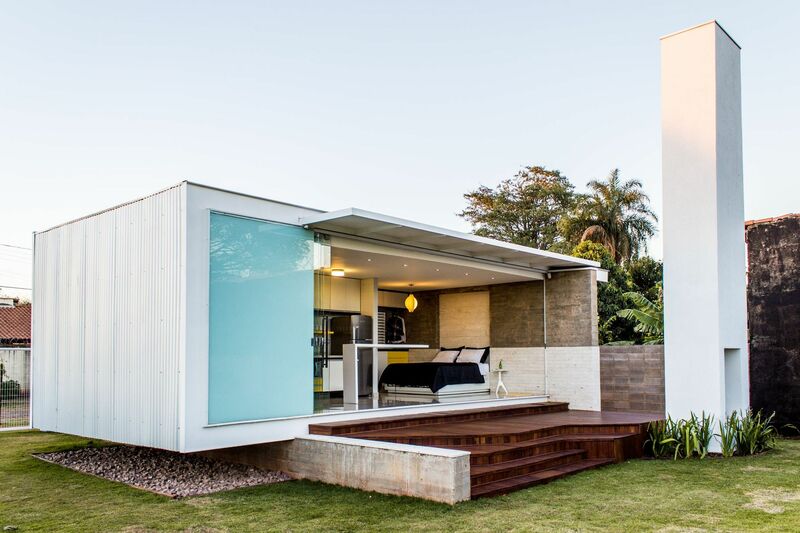 You don’t have to have a contemporary, minimalist home in order for these to look good. It just adds to how handy and cool these shelves really are.